"In every created work there is a union of desire, idea, action and material." We have both, in our independent studio practices, used light to attract and locate the viewer, to provide an unexpected sense of discovery, and to address notions of conceptual and intellectual illumination. Our collaborative work, where each artist brings in strengths from her/his respective studio practice, continues this ongoing exploration of material, light, and vision. We are interested in how these elements may be brought into conjunction to create novel forms and experiences for the viewer to encounter. 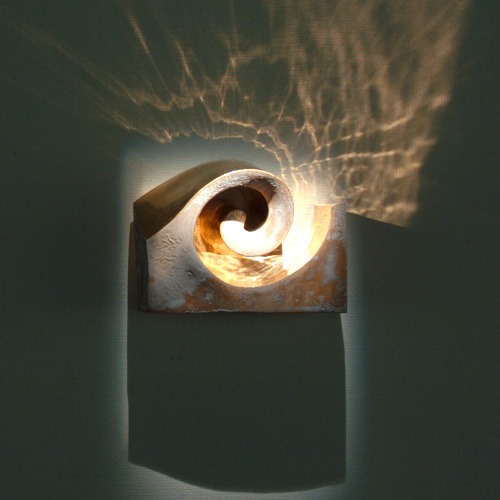 Pieces such as Aurora explore the material and immaterial through the creation of a 'drawing' in light and shadow or as with (Table-top) Reliquary reactive materials, reflected light, and use value are employed to give added dimension. Works in the exhibition are for sale ranging in price from $1,200.00 to $3,500.00 CDN. 'Mnarja' (pronounced em-naria) is a harvest festival, a national holiday, and a popular traditional event celebrated on June 29th that commemorates the martyrdom of the Apostles Peter and Paul. It is characterised by a night-long picnic at Buskett Gardens, Rabat. The name 'Mnarja' is derived from the Italian illuminaria, meaning 'illuminations', by way of bonfires and street lamps called lampioni. 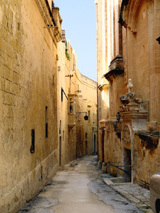 These light up the bastions surrounding the island's old capital, Mdina and its Baroque cathedral. image credits: (left) Lucy Rospigliosi, and (right) Kirk Bauer. Illuminaria, the title of our recent exhibition, is derived from the Italian word meaning 'illuminations', as well as the title of a poem presented to us by our guide, a Maltese art historian and poet, on the day that we were engaged on the ramparts of the walled town of Mdina, Malta. We believe that the word Illuminaria evokes a feeling about these works that both feature and focus the viewer's attention on the use of light and light effects.